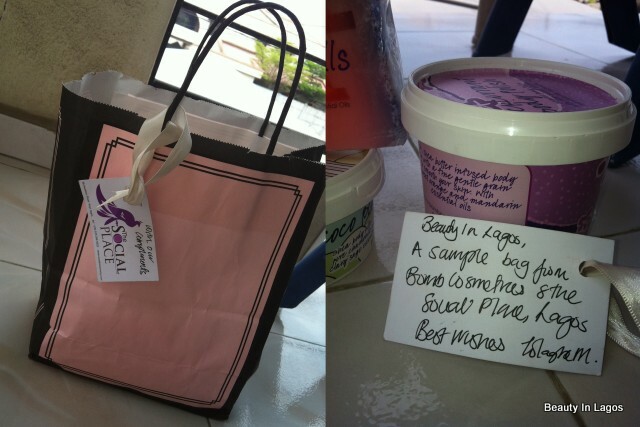 A few weeks ago I received an email from a lovely lady from a company called The Social Place (in Lagos), asking if I’d be interested in trying out a few of the products the carry in their store. She mentioned Bomb Cosmetics as one of the products. I have ALWAYS been curious about Bomb Cosmetics. Curious because the first time I’d ever heard of or laid eyes on this brand was in Nigeria, and it reminded me a lot of this other brand in the UK called ‘LUSH’… I have no idea if this is available in America or anywhere else, but LUSH is amazing. It’s all fair-trade, hand-made soaps, lotions, spritzes, bath bombs, massage bars.. etc. 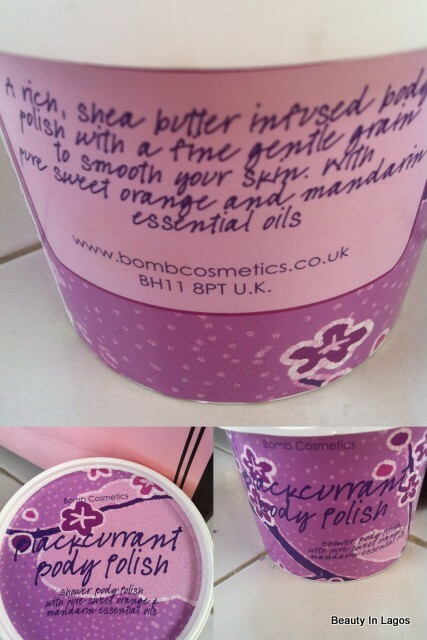 Here’s the body polish, packed full of natural goodness. 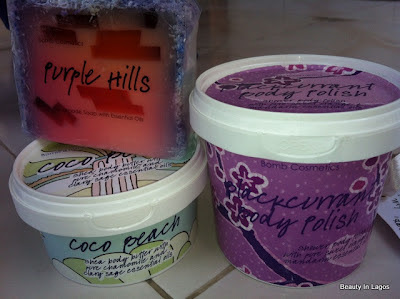 I have always wanted to try out body polish, really just to see how it differs from a body-scrub. 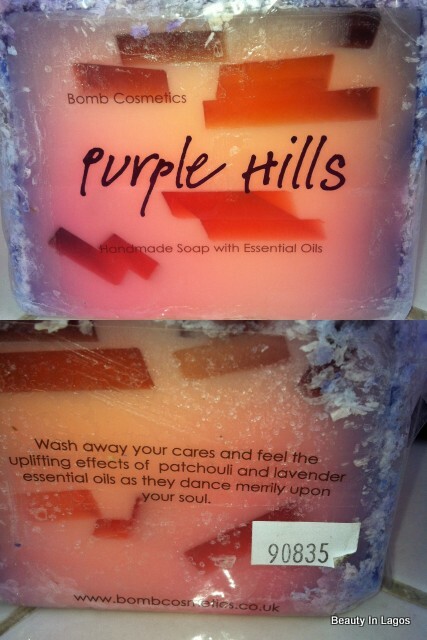 It smells amazingly fruity, just like blackcurrant!… d’oh. The first time I used this product was with one of those exfoliating mitts and then the second time I made-do without them and just rubbed it in with my bare hands. 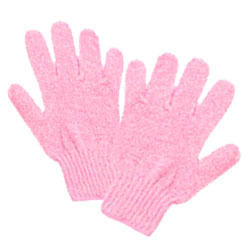 Both ways work pretty much the same, but I preferred rubbing it on with my hands, THEN going over with the mitts. This left my skin feeling really smooth. The only thing I was skeptical about with this was if it would leave any residue when rinsed off. 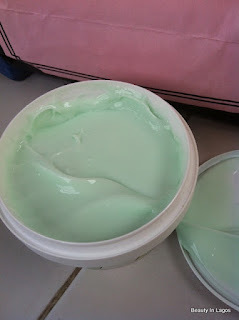 You know that little layer of ‘film’ most body-scrubs/gels/shower creams leave even when rinsed off. So annoying, especially in our hot climate, who needs the EXTRA moisture. Ugh. This did not happen AT ALL, it rinses off very well and your skin is left soft, polished and smelling amazing. I noticed the scent lasted quite a few hours, nearly half the day! I will definitely recommend this! 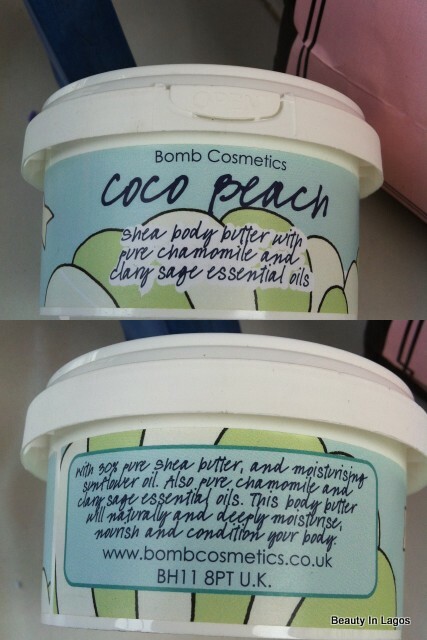 This is what the product looks like in the tub. 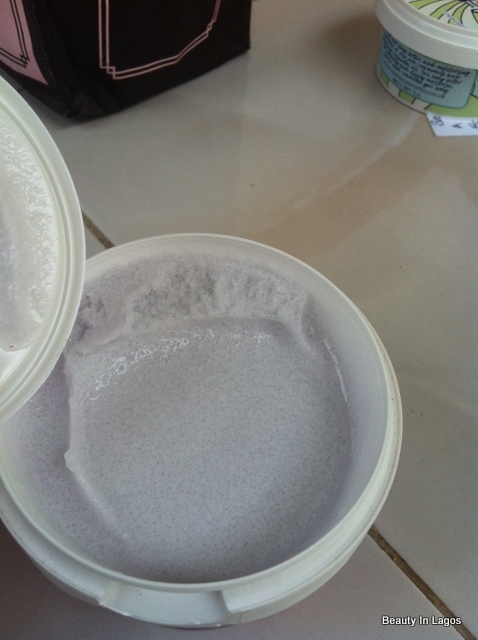 It contains microbeads that melt away once rubbed in and are not uncomfortable/scratchy. It’s got these flakes on the edges, still trying to figure out what they are. But right now, they are just creating a mess! :). 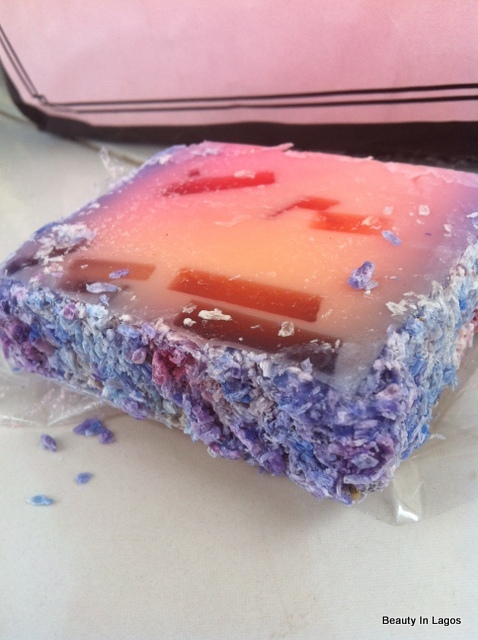 But they do melt into the soap once wet and stay that way. And finally the lotion. This is probably the product I liked the least in the package. 1.) Because it doesn’t really smell good (actually can’t describe this). It’s nothing repulsive, it’s just not as ‘lovely’ smelling as the others (‘lovely smelling’? When I said I was pants at describing scents I wasn’t joking lol) 2.) It doesn’t absorb very well. My only gripe with body lotions is when they do not absorb as well as I want and this is one of them.My skin generally takes a while to absorb ANYTHING, foundation, primers and lotions included. And with this product, this occurs just on my legs. Applied everywhere else on my body is fine, except for my legs. The product just sits on my skin in this area. BUT, there is a way around the ‘absorption’ issue, I just apply a tiny amount on my legs (when I remember to, which is mostly NEVER). My sister actualy brushed against my leg the other day and went “What! Why is your leg so ‘slippery'” lol. I would say this lotion is more-suited for people with very dry skin. Weird thing is, even with the issue of this just sitting on my skin, I still reach for it every other day. As with all beauty products it is always really down to personal preference, so don’t knock it till you’ve tried it! So look out for my post on The Social Place. I went in last weekend and was amazed at the array of products and items they have in store! *These products were sent to me for review purposes. I do not accept compensation for positive reviews, my opinion is always honest, whether items are purchased or gifted. 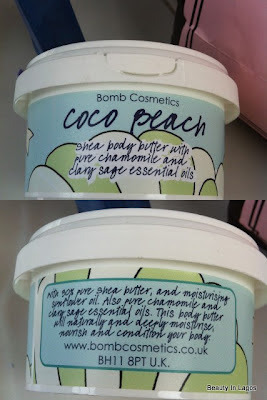 i have the coco beach personally I think it smells AMAZING I love it – my friends really like it too. it's very softening and smells of coconut with citrus notes.